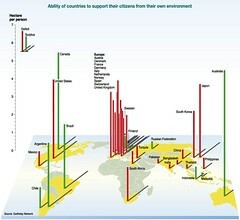 The Ecological Footprint measures the amount of productive land area needed to support a nation’s consumption and waste. 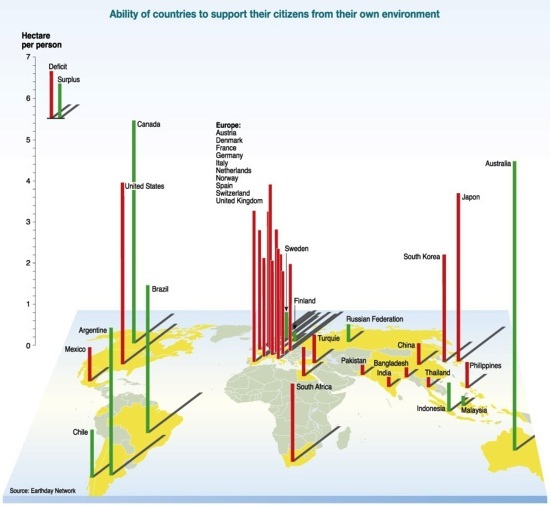 This indicator shows that in many countries, as well as for the planet as a whole, the demand for natural resources, or the 'ecological capacity', exceeds the amount available. Countries that are not able to support their national consumption with their own natural resources are running at an 'ecological deficit'. Therefore these countries have to either import ecological capacity from other places, or take it from future generations.